The very first value outline in the Agile Manifesto is the preference of “Individuals and interactions over processes and tools”. What this entails is that Agile at heart is about people and their interactions. But unlike processes and tools which are straight forward and unambiguous, people and their interactions often times are not. Agile requires not only knowing the fundamental tools and techniques, but also how to get individuals to interact with them effectively. This requires developing core technical knowledge and skills, applying business acumen and most importantly, acquiring a “sixth-sense” for how to manage and lead people to an end goal. We call it A Sixth Sense for Project Management®. This holistic approach used in conjunction with Agile will allow you to truly deliver superior results! Agile Project Management is an iterative method for defining requirements for development projects in a highly flexible and interactive manner. Project managers are constantly under pressure to deliver results faster and there are limitations on typical waterfall approaches. Agile is an iterative (short development cycle) approach which constantly engages the customer in requirements definition and testing. Agile allows for smaller / quicker deliverables. Agile concepts in whole or in part are an essential skill today’s project managers should have. This program focuses on providing an understanding of Agile project management, team dynamics, requirements gathering, estimating, executing / reporting and adopting Agile into your company operations. 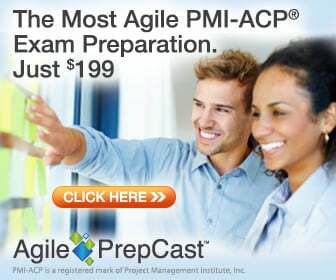 Going beyond the generic descriptions of Agile within project management, this program uses many exercises to reinforce the concepts and techniques, as well as an integration of A Sixth Sense for Project Management® throughout. NO other training company provides such depth and breath for both the hard and soft skills necessary to thrive in this fast paced world! Integration of A Sixth Sense for Project Management® into fundamental Agile concepts. A major shift in Don Kim’s career occurred, when he discovered the field of project management that seemed to integrate and reconcile technical knowledge, emotional intelligence and business management skills into a perfect marriage. He has never looked back. In about the last decade, he has been involved in the field of project management initially as corporate employee and now as an independent consultant, trainer, coach, educator and writer which includes being an instructor at four universities and colleges, writer for several industry publications and event speaker. He has worked for, consults and conducts training for industries in biotechnology, aerospace, e-commerce, finance, healthcare, information technology, entertainment, manufacturing and retail. This includes companies such as Arco, HealthNet, St. Jude Medical, NBC Universal, Newegg.com, Phenomenex, Capgemini Consulting, Arrowhead Products, Allergan, Honda etc. You can learned more about him at his project management website at www.projectation.com. He has been a member of PMI-LA since 2006 and has been a volunteer instructor for the PMP prep class since passing his PMP exam back in 2007 as well as serving as VP of Marketing and Pubic Relations fom 2013 – 2014. He has spoken at numerous PMI-LA satellite locations as well as facilitating training workshops on career and business management, Microsoft Project, etc.